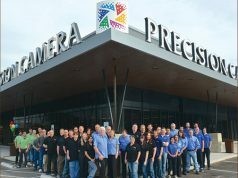 Valhalla, NY—Fujifilm Holdings America Corporation announced new appointments for Go Miyazaki of Fujifilm North America Corporation (FNAC), Fujifilm’s largest subsidiary in North America. Miyazaki was appointed corporate vice president of Fujifilm Corporation in Tokyo, and he will also continue his role as president of Fujifilm North America. Miyazaki also assumed the new title of CEO here in the U.S.
As president and CEO for FNAC, Miyazaki is responsible for four operating divisions—Imaging, Electronic Imaging, Graphic Systems and Optical Devices—and one subsidiary company, Fujifilm Canada, Inc.
Having joined Fujifilm in Japan in 1981 after graduating from Waseda University in Tokyo, Miyazaki held several key positions in international sales and marketing. Initially working in International Marketing in Tokyo, he joined the sales and marketing organization in the UK in 1989, and in 1998 he returned to Tokyo as manager, responsible for codeveloping projects for the worldwide Recording Media division. In 2001 he moved to Germany and was elevated to the position of general manager, overseeing all European sales and marketing. Miyazaki returned to Tokyo in 2006 as worldwide general manager, Sales and Marketing, for the Electronic Imaging division. In 2008, he came to the U.S. as division president, Electronic Imaging. Later, he was also made division president for the company’s Imaging division. Last year, he was promoted to president and COO of FNAC. Miyazaki’s appointment was among several new appointments and promotions at Fujifilm, including the following. 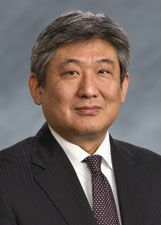 Shigeru Sano, formerly senior vice president, chief administrative officer, general counsel and secretary for Fujifilm Holdings America Corporation, was named as the new president of Fujifilm Holdings America Corporation. He succeeds Kazuhito Yamamura, who held this position for the past year.